Usually a new firmware being made available a good thing. New features are added and bugs are fixed. But this is not the case when you cannot get the firmware update to apply and this message is continually displayed every time I turned on the TV and came up again every 20 minutes while watching TV. It was extremely annoying to constantly be interrupted by a useless message. This wouldn’t normally be that big of an issue, but this message displayed every time I turned on the TV and came up again every 20 minutes while watching TV. It was extremely annoying to constantly be interrupted by a useless message. I disabled firmware updates in the support menu, but the message was continuously displayed. I permanently disconnected the network connection, but the message still continuously displayed. I did a full reset of all settings. I called LG tech support for help, and they provided no solution, other than for me to pay for a technician to come to my house and look at the TV, although they didn’t know what the technician could do to fix it. Having tried every reasonable solution to solve this issue, I was desperate for a solution. 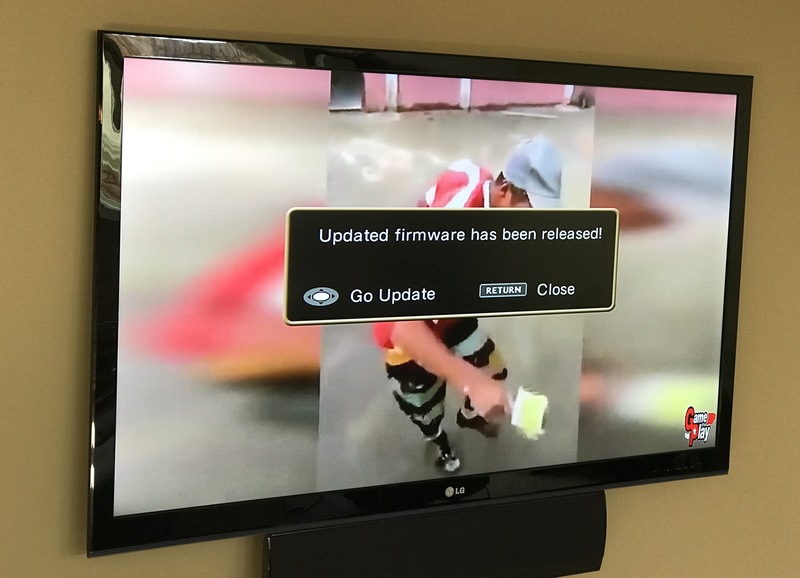 It finally dawned on me…the message doesn’t specifically say “LG TV Firmware Update Available”…this may not be an LG TV message. I have a Roku streaming box that’s connected to a Denon AVR3312CI receiver that’s connected to a LG TV. All three of these devices produce video overlays. All three of them have update-able firmware. Sure enough, going through the Denon menus, there was a firmware update available. Problem solved. Or even better, it would have automatically applied the firmware update itself without putting the bourdon of firmware maintenance on me. It’s a lesson learned for me – never assume your perception of context is the only one possible, when troubleshooting or when creating something new.